Thou shalt not read the comments section, lest thou covet thy neighbor’s likes. Anyone who uses social media religiously knows that there’s one main rule of the Internet. Well, one main rule besides “CATS, CATS ALWAYS”. It’s to stay outta the comments section; for the love of all that is #holy, stay out of it. Luckily the ever-wise winner of our Internet challenge did the best thing you can do short of hanging a virtual sign on every comments section that says, “HERE BE MONSTERS!”; Rodrigo Leonardo Batista Ferreira (@rodrigobhz) created a design that sums up this number one commandment of the Internet, albeit swapping the stone tablet for a touchscreen one. 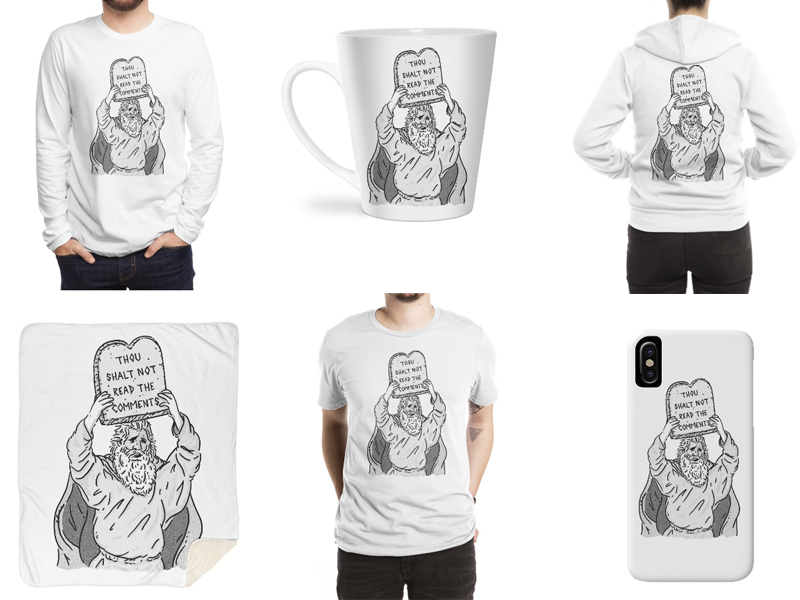 We talked to this artist all about the winning design, what other designs he had in mind and, most importantly, about what the other nine commandments of the Internet would be. Find out below! First things first, what have you been up to lately! Hi Carlyn! I’ve been working like crazy lately. I want to retire! If you could describe your style in three words, how would you describe it? Hmm… funny, playful, and humorous. 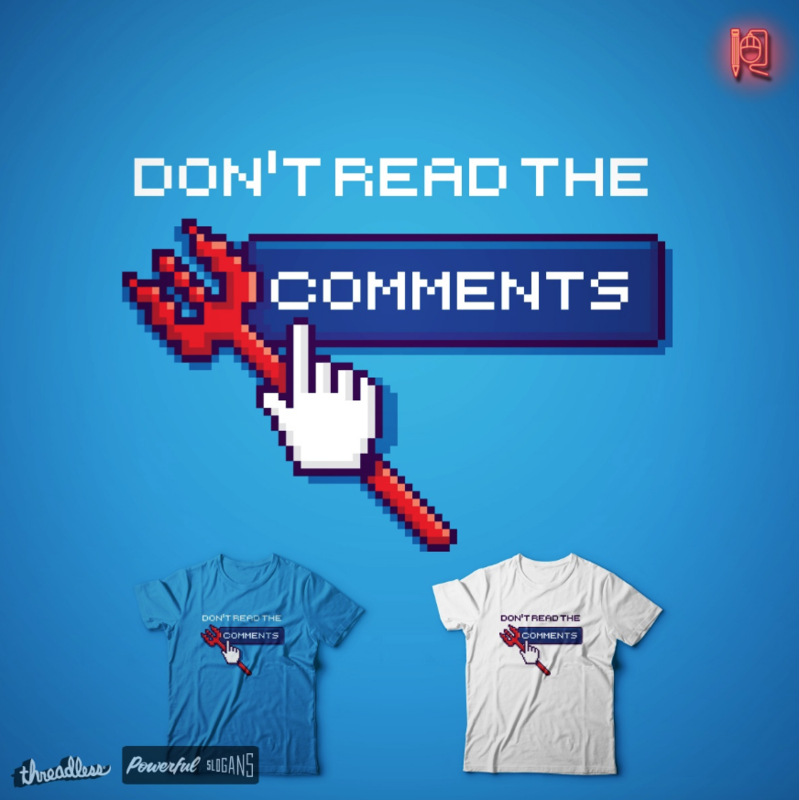 “The First Commandment of the Internet“, the winning design of our Internet challenge! This idea is kind of an evolution of a previous design called “Internet slogan” (see below). I almost subbed this design again but I wanted to try something new. I thought that more than a slogan, “Don’t read the comments” should be a #1 rule, or, a commandment. 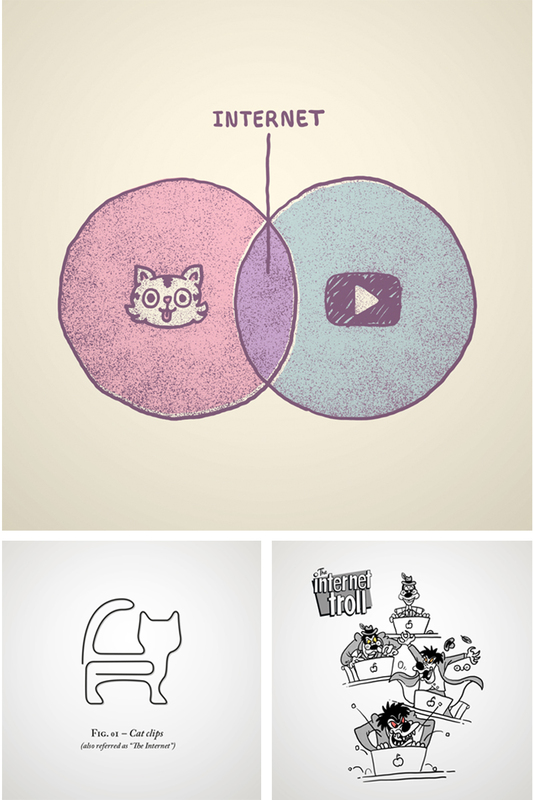 “The Internet’s Slogan” – an earlier Internet-inspired design by Rodrigo. Did you have any other ideas that you wanted to explore for this challenge? Yes, I did! I subbed four designs for this challenge and worked on another two or three but I didn’t sub ’em because I was not happy with them at the moment. A few designs Rodrigo came up with for the Internet challenge. 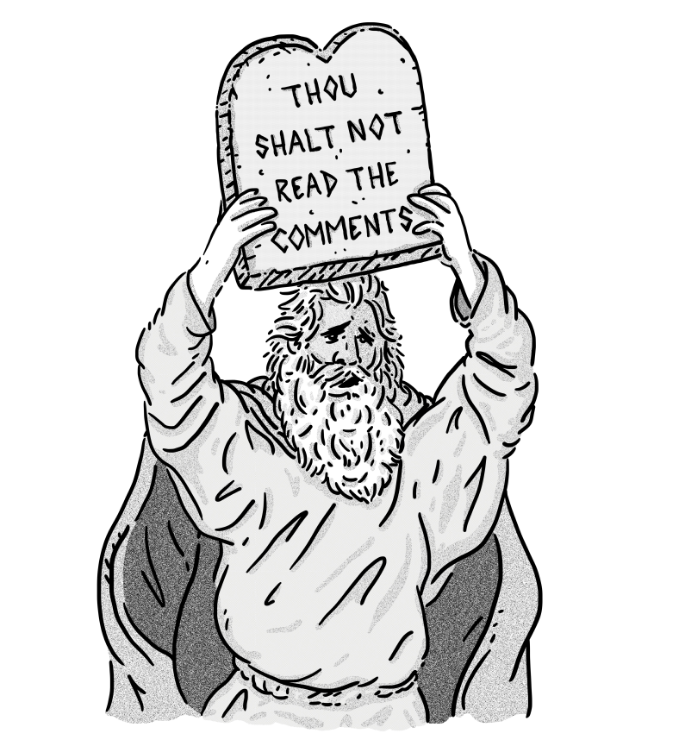 What are a few other Commandments of the Internet you can think of? 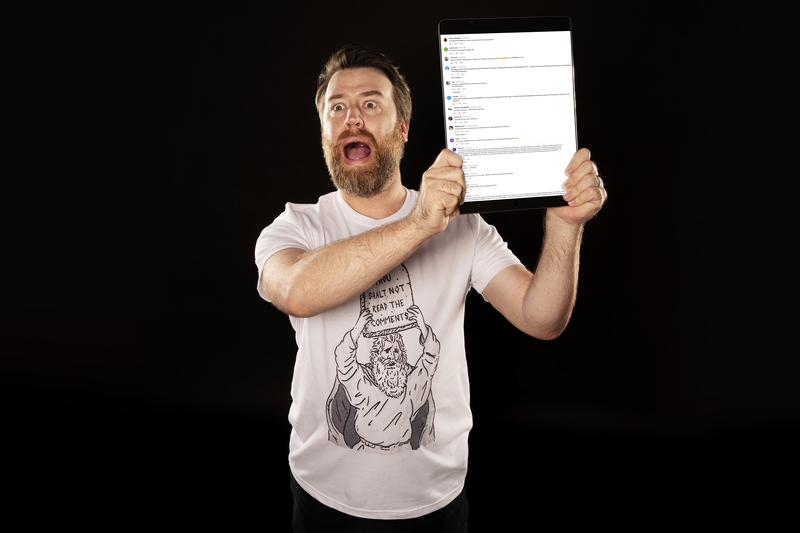 “The First Commandment of the Internet” on just a few products! Top row: men’s long sleeve shirt, latte mug, and women’s zip-up hoody. | Bottom row: super comfy sherpa blanket, men’s extra soft tee, & slim fit phone case. What are some of your favorite art techniques and styles? I enjoy cartoony, goofball style like Liniers’ work (Argentine cartoonist) but I also enjoy other art techniques that are far beyond my skills, like hyperrealism or the psychedelic + surrealism + art deco of James Jean art. 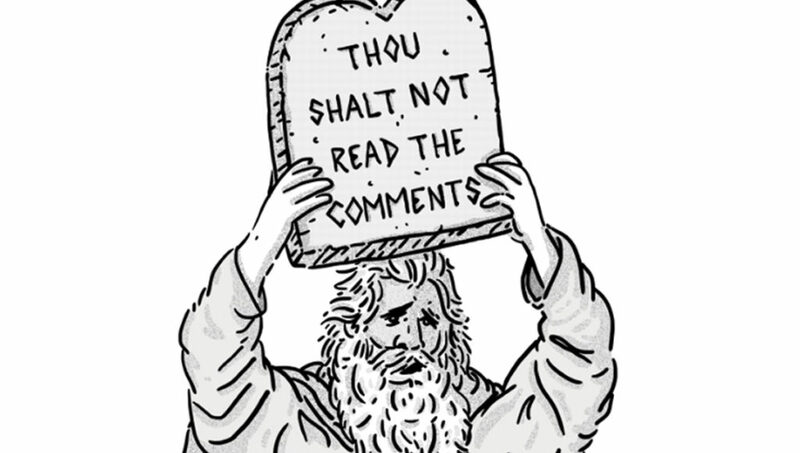 “The First Commandment of the Internet” in action. What’s the project you’ve been the proudest of so far in your creative career? Wait a minute, I can’t answer this question! It’s like asking our parents which kid they love most! We all know parents don’t have a favorite son, right, mom? Mom? 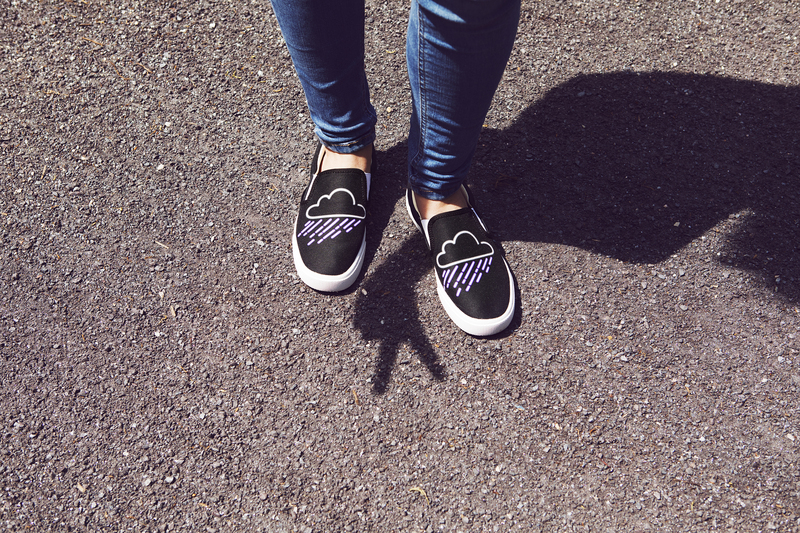 Rodrigo’s design “Purple Rain” on Bucketfeet slip-ons. Who are you inspired by creatively? You know when people say that EVERYTHING is an inspiration? It is true, everything inspires me. A bad reality show about a weird family, a funny quote, a hairbrush, dirty dishes, dog’s poop… if you pay attention and look closer (ok, you can skip the reality show and the poop in this case) the idea is right there. Sure, I’d like to share a big hug with all threadpeeps that support my work. Thank you very much, guys! Posted in Artists Speak, Behind The Tees, Blog and tagged 10 commandments, comments section, don't read the comments, internet humor, religion art, the internet. Bookmark the permalink.